Ancestor: Bartlett Ellis; Josiah Ellis; Josiah Ellis, Jr.
Born: April 17, 1815 in Sandwich Ma. 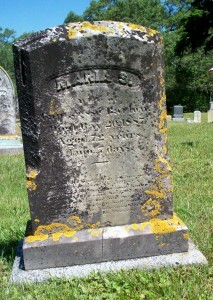 Died: May 20, 1887 in Bourne Ma. at 72 yrs, 1 mo, 7 d.
Where Lived: 440 Barlows Landing Rd. in Pocasset Ma. Married: November 28, 1833 in Sandwich Ma. 1. Maria Elizabeth Barlow Gibbs; (November 2, 1835 – July 6, 1893); Married Paul Crowell Gibbs, Capt. (1832 – 1905) (Pelham Gibbs, Jr., Capt. & Mary Crowell) in Sandwich Ma. on January 23, 1855; They had 6 children; Maria & Paul are buried in Cataumet Cemetery. 2. Jesse Bartlett Barlow, Capt. ; (March 1, 1838 – August 28, 1902); Married Susan Harlow Westgate (1838 – 1924) (Frederick Westgate & Patience Bourne (Adams)) in Sandwich Ma. 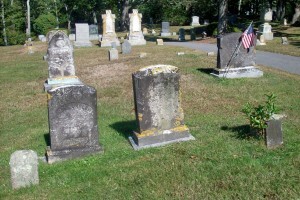 on September 30, 1857; They had 3 children; Jesse & Susan are buried in Pocasset Cemetery. 3. Sarah Frances Barlow Wicks; (October 13, 1840 – September 3, 1878); Married Asaph Swift Wicks, Capt. (1837 – 1904) (George Washington Weeks & Betsey Robinson) in Sandwich Ma. on July 14, 1864; They had 2 children; Asaph married (2) Susan A. (Mosher) Wilson (1840 – 1918) (Warren Mosher & Susan A. (–)) in Sandwich Ma. on December 23, 1881; Susan married (1) Benjamin F. Wilson, Capt. (Abt.1840 – 1879) (Benjamin Wilson & Mary (–)) in New Bedford Ma. on November 3, 1859; Sarah, Asaph & Susan are buried in Cataumet Cemetery with the 2 children of Sarah & Asaph. 4. William Thomas Barlow, Capt. ; (September 14, 1843 – September 12, 1923); Married (1) Florence/Flora A. Packard (1849 – 1869) (William E. Packard & Thankful Ann Linnell) in Sandwich Ma. on January 10, 1869 & married (2) Eliza Coleman Swift (1855 – 1936) (Browning A. Swift & Mary Jane Baker) on December 22, 1875; William & Eliza are buried in Pocasset Cemetery & Florence/Flora is buried in Cataumet Cemetery. 5. Infant Barlow; (June 3, 1846 – September 6, 1846); Died at 3 mos, 3 d.; Buried in Cataumet Cemetery. 6. Infant Barlow; (June 3, 1846 – June 3, 1846); Buried in Cataumet Cemetery. 7. Abner Franklin Barlow; (October 2, 1847 – April 2, 1863); Abner was a Mariner & died at 15 yrs, 6 mos. ; He is buried in Cataumet Cemetery. 8. 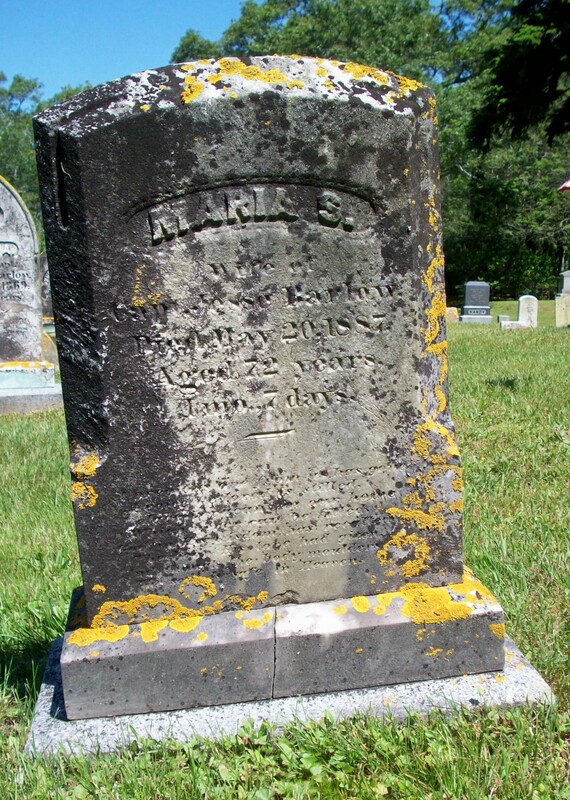 Infant Barlow; (October 3, 1850 – November 12, 1850); Died at 1 mo, 9 d.; Buried in Cataumet Cemetery. 9. Infant Barlow; (December 5, 1852 – ? ); Buried in Cataumet Cemetery. 10. Emory W. Barlow; (August 27, 1854 – February 5, 1856); Emory died at 17 mos, 9 d.; He is buried in Cataumet Cemetery. 11. Edward Wilton Barlow, Capt. ; (September 16, 1856 – December 24, 1942); Married Elizabeth/Lizzie Wright (1858 – 1934) (Zadock W. Wright & Keziah Davis (Avery)) in Sandwich Ma. 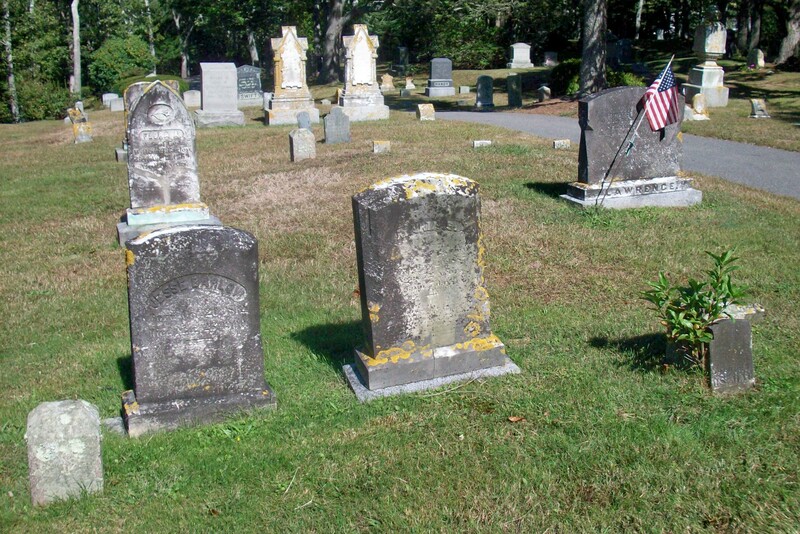 on Deceber 19, 1878; They had 5 children; Edward & Elizabeth/Lizzie are buried in Pocasset Cemetery.